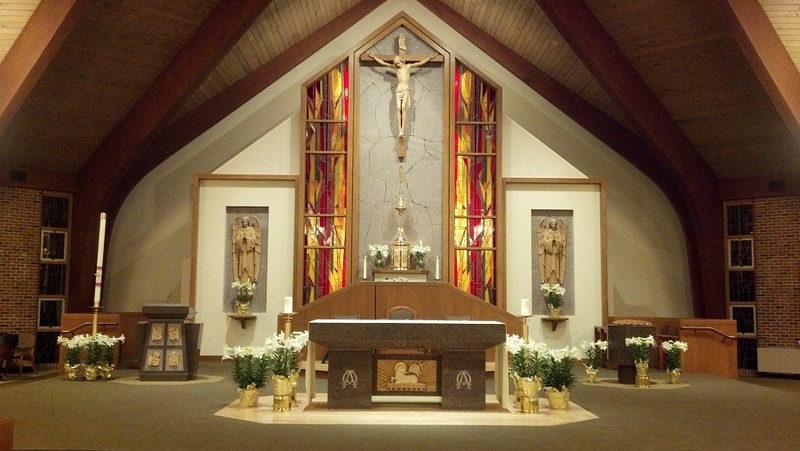 St. Pius X Parish is a community of Roman Catholics established in 1954 within the Church of Fall River to collaborate with its Bishop. Nourished through Word and Sacraments, we attend to the Holy Spirit and follow our Lord, Christ Jesus. We give witness to our participation in the Body of Christ by welcoming, evangelizing and serving all whom we encounter, especially the poor. Click Here to read a letter from our Bishop Edgar da Cunha S.D.V. of the Fall River Diocese regarding the Abuse Crisis. FORMED – The Catholic Faith. On Demand. The Parish Bulletin is distributed at Mass each week. 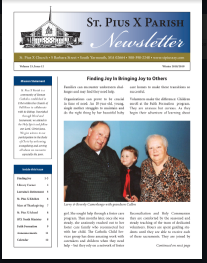 It contains news and events and other Parish information. You can also view the Bulletin online by Clicking Here. Visit our Calendar often for the best resource in Parish activities, events, Religious Education schedule and lots more. Click Here for minutes for the most recent and archived St. Pius X Parish Pastoral Council Minutes Meetings. Are you new to the Parish? Click Here for Parish Registration information. If you notice some of your fellow parishioners are not putting their envelopes in the collection basket, it could be that they are using the electronic payment system (ACH). If you are interested please click these links for an Information Sheet and an Authorization Form. This is a very simple and easy way to keep track of your donations. Simply complete the form and return them to the Parish Office. Thank you! GO PAPERLESS – Do you want to get your Newsletter by email? Click Here. Click to view a 360 degree panorama picture of the inside of the Church.